Theon Greyjoy: You’re my queen. I go where you command. Yara Greyjoy: You want to go to Winterfell. To fight for the Starks. Go. What is dead may never die. 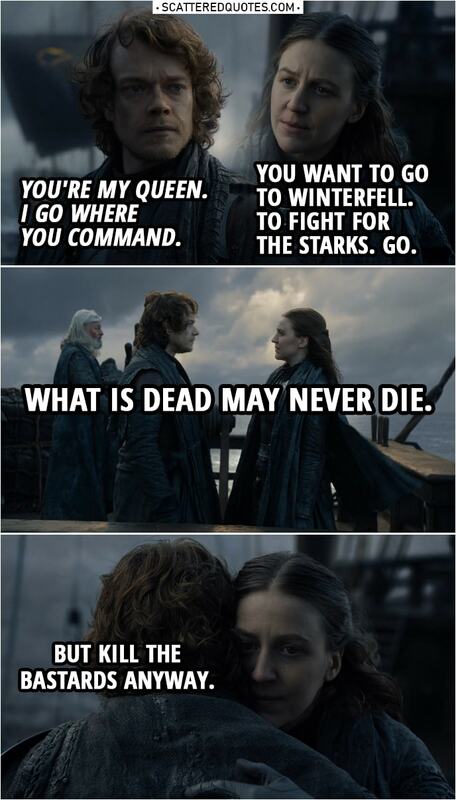 Theon Greyjoy: What is dead may never die. Yara Greyjoy: But kill the bastards anyway. 15.4.2019 What is dead may never die.